Package with all speakers in the R3 5.1 pack (2 pairs of R3, R2C & R400B) + 2 pairs of Ci160QR in-ceiling speakers for Atmos height channels on front and rear. Earn 5325 loyalty points when you order this item. 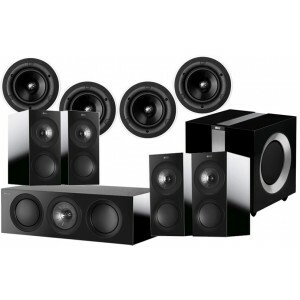 This KEF R3 5.1 speaker package (available on 0% finance) combines a pair of R3 speakers on the fronts and rears, R2C on the centre channel, R400B subwoofer and 2 pairs of Ci160QR in-ceiling speakers for the all-important vertical sound dimension and realistic 3D sound image of Dolby Atmos. This is an impressive set-up that matches well with most AV receivers and comes in high gloss black, high gloss white or walnut. The new KEF R Series has been completely re-engineered from the ground up and is the beneficiary of many of the technologies, materials and developments made in the creation of the Reference Series. Decades of experience and unbridled passion for music come together. It combines trickle-down innovations with new bespoke technologies to ensure more detail, deeper insight and greater excitement. The R3 and R2C models offer the finest sound KEF has ever delivered in their respective categories regardless of room dimensions. The Uni-Q driver array featured on the R-series is nothing short of a masterpiece. Movies or music, Mahler or Massive Attack, what you experience is the captivatingly sweet, accurate and natural live sound of the original performance. A quality, full-range ceiling speaker, the KEF Ci160QR is ideal for medium-sized rooms requiring sound with presence. From the largest in-wall speaker to the tiniest spotlight speaker, all the KEF Ci-Series speakers have been sonically matched. This means that the tonal characteristics of the speakers don't change as you move around the room or, should you have a multi-room system, around your home. As you'd expect from KEF, the tonal balance favours accuracy and neutrality over excessive exaggeration of the frequency extremes. As part of the QR series, this ceiling speaker features high-quality components for audiophile sound quality. The basis of this speaker is the Uni-Q design. This involves positioning the treble unit in the throat of the woofer, so creating a single point source for sound across the frequency spectrum. The end result of this is a broader, more cohesive sound. 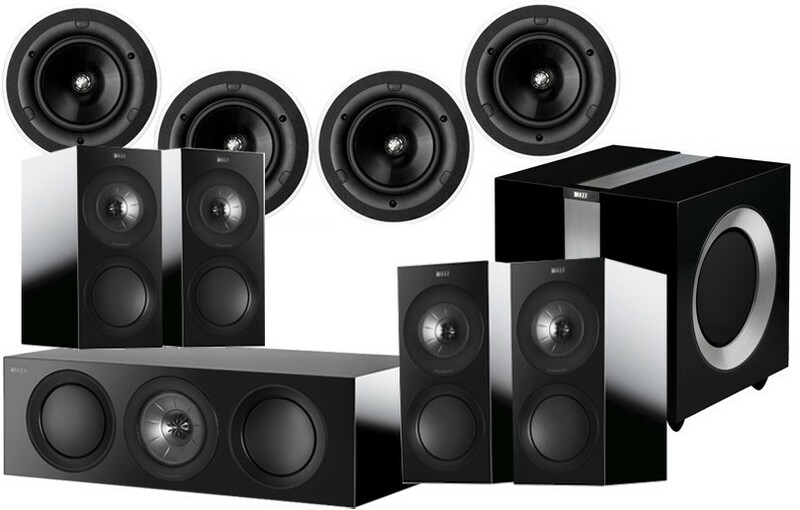 KEF Ci Series speakers are easy to install. Once installed, all the speakers share a sleek yet discreet style, making them as unobtrusive as possible. For more information on the ceiling speakers, visit our main KEF Ci160QR page.